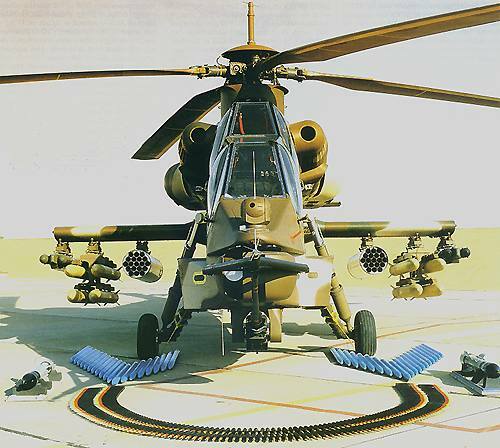 The Denel AH-2 Rooivalk is a modern attack helicopter manufactured in South Africa by Denel Aerospace Systems, a division of Denel Ltd. 12 of these helicopters were ordered by the South African Air Force. The first helicopter entered service with the South African Air Force in 1999 and by April 2005 only six Rooivalk were operational as part of the 16 Squadron, which is based at AFB Bloemspruit near Bloemfontein. 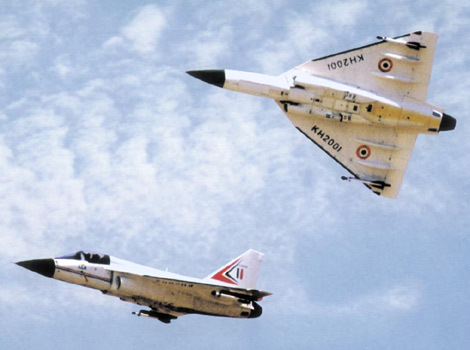 The Tejas single-seat, single-engine, lightweight, high-agility supersonic fighter aircraft has been undergoing flight trials in preparation for operational clearance, and by mid 2005 had flown over 400 flights up to speeds of Mach 1.4. The Tejas light combat aircraft design and development program is being led by the Aeronautical Development Agency (ADA) of the Indian Department of Defence with Hindustan Aeronautics Limited (HAL) as the prime industrial contractor.